May Purchase 1 Certificate! May Purchase 2 additional as Gifts! Experience SpaFit RX, a world class wellness center that offers all you need for your skin, beauty and wellness under one roof. Want to know more about how the Skin Tightening Treatments work? Known as “the lift without a knife”, Refirme™ ST (Skin Tightening) is a painless, no downtime skin tightening treatment, which results in an immediate lifting and firming of the skin. This revolutionary technology combines radiofrequency (RF) and infrared (IR) light in such a way that they work on the skin simultaneously and synergistically, surpassing by far the benefit of each by itself. Refirme™ ST has quickly become a great favorite for Spafit RX clients who want to have tighter and firmer skin on the spot, and do so without visible post treatment marks. The RF and IR combine to generate energy which gently heats the deeper layers of the skin. The result is an immediate tightening of the collagen in the areas treated, showing on the skin as reduced sagging and a visible lift in the areas of loose skin. The wow effect is so great that we like to show people the treated side halfway through the treatment, to let them compare with the untreated side. No one so has far asked us to stop in the middle for lack of an effect!!! Does the Refirme™ ST have long term benefits? Yes, very much so. The skin perceives the treatments as a sign of need to regenerate and rejuvenate itself, and starts producing new collagen, lasting for 6 months after each treatment. Collagen production shows up as a decrease in fine lines, firmer skin, decreased sagging, tighter pores and better skin quality all around. This is in addition to the firming effect due to the immediate tightening. This is one of the safest technologies around. 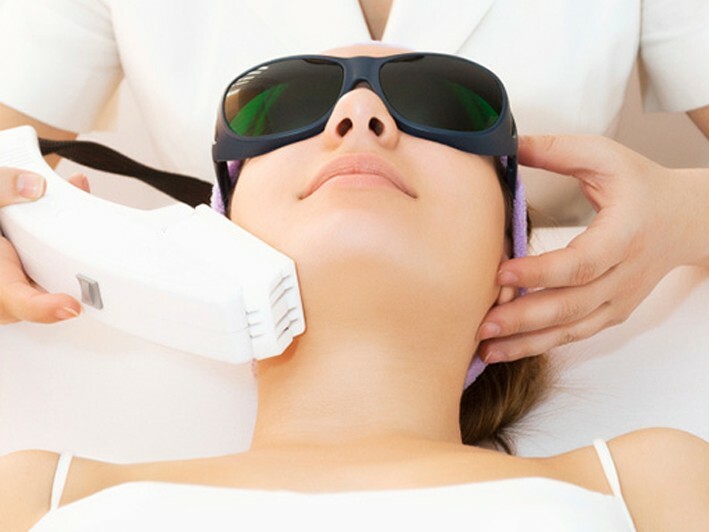 The technology is designed in such as way that there is no chance of the laser effecting unwanted areas of the skin, and can be safely used on all parts of the face (except the eyes which are covered with special goggles) and on the body. What areas can be improved with Refirme™ ST? Refirme™ ST can be used to gently tighten and lift the nasolabial folds, the jowls, elevate the eyebrows and by extension the upper eyelids, resulting in a more “open” looking face. The neck is a favorite area for many. Some patients like the treatments for tightening the belly button area, the inner thighs, the upper arms and around the knees. It has even been used for non-surgical breast lifts. We also use it for acne prone skin to decrease pore size and stimulate collagen production to help diminish acne scarring. SpaFit RX's team specializes in noninvasive aesthetic services designed to improve clients' appearances and well-being. Their procedures include skin tightening, IPL, Vein Reduction, and relaxation services. Imagine the luxury of having all of your beauty and wellness needs catered to in just one place… Now imagine that place is serene and beautiful, staffed by talented experts in a convenient location… That’s SpaFit RX! Our Laser Treatments, Skin Care and Body Reshaping along with our relaxation treatments will leave you feeling pampered and refreshed. You will love the new you!